Amanda asked me a couple of weeks ago if I would like to tell my side of our journey, at first I was a little hesitant, I didn’t think that anyone would want to hear what I had to say, but after thinking about it I agreed, I have written it in honour of my little man, a little baby who is now with the angels, jumping on clouds and sliding down rainbows, Liam, my son who was and is loved more than anyone can imagine. When Amanda’s water broke that night, I was in a state of both shock and then massive action, “right here we go” I thought to myself. Amanda didn’t need to confirm what I already knew was happening and I was out of bed, getting dressed (I had left a change of clothes near our bed in case of this event occurring overnight). I called Mum to come and look after Alethea so that we could go to hospital. Everything happened smoothly and we were off to hospital and arrived in around half an hour, with me constantly looking at the clock to time Amanda’s contractions. Just before we reached the hospital while we were in the car we had the radio on and we listened to an advertisement for SIDS and we both looked at each other and said “that’s not good timing for this advertisement” yet we never thought that something could go wrong. At the hospital Amanda’s contractions started to get stronger and more painful, I tried to remember what to do to help which was to pat her back, get her anything she needed and generally try to be helpful while generally feeling helpless. The midwife was nice, but stressed due to the amount of ladies giving birth. After putting the CTG monitor on Amanda she notices the strange decrease in Liam’s heart rate as Amanda contracts. I remember her prodding Liam to get his heart rate back up and me thinking that the little guy (I always thought Liam was going to be a boy) really didn’t like the contractions but no one seemed too stressed about it, so I assumed it was fairly routine. Once the Dr was called though we realise that Amanda would be having a c-section which I was cool with as our first birth was a marathon that started early Sunday morning and finished early Monday morning so I thought it would be good for Amanda not to have to go through that again. The doctor examines Amanda and looks at the CTG and his preference is to do the operation and get the baby out, which is a no brainer for us, I remember saying “ do what ever is best for the baby and whatever Amanda wants” so a C-Section it was. Everyone was still very calm it was like there was nothing to be stressed about, I was having a chat with the Doc while Amanda got her epidural and then we were off to theatre. When we got there I was sent away to put scrubs on and then I had to wait in this little side room to the theatre for what felt like ages but was probably 20mins and all I can think of is “I wonder how Amanda is doing, hope it doesn’t hurt and I can’t believe I am going to be a Dad again, please just be a healthy baby”. Amanda has written about the actual surgery and I cannot hope to compare to her words so instead I will not go through all the details but simply my thoughts and feelings during this period. When they lift Liam out of Amanda and carry him to the table, he looks a little grey and limp with no sound, the sound doesn’t bother me (as Alethea didn’t make a sound when she was born), but the lifeless figure wasn’t a good sign. I went through an emotional roller coaster, it started with them telling me it was a boy, and the elation I felt, then I watched in slow horror as he wasn’t moving, then the staff attitude changed from casual to very stressed. As I sat there watching my little man only a couple of metres away from me, with multiple people trying to help him I felt helpless and lost, all that I can think of is that I am the dad, it is my job to project my family and I can do nothing to help him. As the minutes, then hours ticked by, I prayed for him, I willed him with more force than I ever knew I had, I bargained for him, with so many promises; if only they could bring him back to me, healthy and alive so I could hold him in my arms and keep him safe. I failed. I looked at my beautiful wife, and I wondered how I was ever going to get her through this, she was hyperventilating, our beautiful baby that she had carried in her belly for 9 months was dying in front of us, how was I going to be able to support her, how would I tell Alethea, how would I get through this horrible nightmare myself. I looked at Amanda and she was white as a ghost, her eyes were puffy from crying and hyperventilating and I was in shock, I was shivering and someone put a warm towel around my back, how did it go so wrong, only a few hours ago we were laughing together, excitedly anticipating our baby and now we were in the depths of despair….how can this sort of thing happen in today’s society, what couple watch their baby die? The decision to stop his breathing support and let him pass away in our arms is without doubt the hardest decision we have ever had to make, at the time the easiest decision would have been to let him live but I knew deep down that he would never return to us. Amanda didn’t want to make the decision for us and more than anything else in the world I wanted my little man to live but a small part of my brain that was still functioning told me that he was never going to make it and we would be selfish to prolong his agony. We had to let him go. I got to cuddle my little man while he was still alive and for that I will be forever grateful, I was able to hold him in my arms, I might have failed to protect him but I got to give him my love and I can only hope that it helped him and he felt my love before he left us. Before Alethea woke that morning I had to call my mum and let her know our horrible news, so as not to get Alethea excited, never has a phone call been so hard to make and all I remember saying to mum was that ‘we had a little boy but something went wrong and he has died.’ I had walked a short distance away from Amanda as I knew I was going to burst into tears again and I didn’t want Amanda to be too upset for me. Telling someone for the first time that your baby boy has died is truly one of the worst experiences that you can go through, it brings it home that this “horrible nightmare” is actually real and that you have failed as a parent to protect your child. When the hospital staff gave us the choice of sending Liam “downstairs” or taking him back to our room with us, I knew I wanted him with me. I had so many hopes and dreams for my little man that I couldn’t say goodbye like that. At first, Amanda was against the idea, I think she thought that it was too horrifying to have a dead baby with us reminding us constantly what we were missing out on, and normally I agree with most things that she wants, but I really wanted Liam to come with us, so when I voiced my opinion and she realised how much it meant to me, she agreed to let him come and she is now forever grateful for that special time we had as a little family in our own part of the world within that hospital room which seemed far removed from the real world. I remember someone offering to take Liam and pop him in a crib to walk back to our room but I didn’t want to let him go, somewhere deep inside I knew that I only had a short time with my son and I needed to spend it with him so I carried my son through the hospital and to our room. That walk seemed like a marathon, every part of me hurt and it was a physical effort to put one foot in front of the other and follow Amanda’s bed as I felt like a beaten old man. As we walked past the delivery suite it dawned on me that we were going to the maternity ward, I remember thinking “why us, why do these people have a healthy baby and we don’t”. We had been on such a tough journey with the many, many miscarriages that it felt like we were due some luck but instead I was carrying my dead son through a ward filled with sounds of life. When we got to the room, we met our two nurses who were lovely, they helped us with our tears, they protected us from the outside world and they were on call any time for anything we needed, big or small they made it their job to help us and I hope they understand how grateful we are. One of the nurses asked if I would like to give Liam a bath, initially I was hesitant but I felt like it was something I could do and Amanda was supportive. To gently bath my little boy and wash him clean from all the blood was an amazing experience, after feeling useless and unable to help him, to be able to bath him for the first time as I had done with Alethea was both a surreal and priceless memory. I felt like I was helping, and I felt like it was a way of showing my respect and honouring him, he fought so hard to live, if I could wash him clean from the trauma in some way that would help him know how much I loved him, how proud I was that he fought so hard, and that he was part of our family. My beautiful wife, she was in so much pain that morning without any pain relief medication after the C-Section, I’m not sure how she survived it, and on top of that she had the pain of being a mum to a little boy who would never take another breath. She is my rock, my soul mate and my best friend and I knew that I needed to help her during this time, whatever she needed I needed to do for her. My job now was to help her. People talk of strength, and I had a number of mates text me that I needed to “be strong, and be stronger for Amanda”, I didn’t need to be told, she is the person I will spend the rest of my life with, without her I am nothing and right at this moment she needed me now more than ever, and I needed to step up and be there for her. Those couple of days we spent with Liam will forever be in my heart, I am so glad we got to spent just a small amount of time with him. I was able to sit him in my arms for many hours telling him about my dreams for him and how much he was and will be loved. Most of all I got to say my goodbyes to him and I got to watch him being cuddled and loved by his mum who should have been the most important person in his life which had been taken from him. Apart from feeling numb and not really believing what had happened to us and then having the numbness wear off and the reality set in while we were in hospital, there are a few things that I do remember, firstly our 2 lovely nurses who looked after us, the sympathy and empathy that they had for us, secondly the Heartfelt photographer, she was beautiful, she didn’t say very much to us, I think she didn’t want to risk upsetting us too much, but she gave us memories that will last us a lifetime, which we proudly display throughout our house, then there were the ladies from Twinkle Toes and Smallprint who came to us on a moments notice to give us treasures we look at/and wear each day. Saying goodbye to my little man on that last day was beautiful, surreal, horrible and devastating all together, to know that I had to take my wife home to an empty house, with an empty nursery was horrible, she was still in pain from the c-section and the life in her had disappeared, I needed to be strong for her and I felt that I wasn’t even capable of putting one foot in front of the other, but knowing that she needed me was what kept me going, it gave me a job and something to focus on and pulled me through those first horrible days and nights. Hi Kath, thankyou for reading our story, I have shared my side to help both other Dad’s as well as trying to help others understand what we are going thru. Hi Joan, thank you for you kind words and honest response, I still get tears every time I read these story’s as it takes me back each time. Which in part is sad but also happy as I now have a detailed record of every moment of my little man’s life and those precious few days we got to spend with him. I am forever grateful that Amanda decided to write about our story as it ensures I will always remember all the little moments that might otherwise be forgotten as time passes. I hope you continue to find the strength to follow our story. Hi Nikki, agree that you should never take life for granted, thanks for reading and sharing in Liam’s life. Hi Kate, thankyou for your thoughts and courage to read, also I now give Alethea and Amanda a lot more hugs just to let them know I love them. Thanks Emma, hopefully this might help other Dad’s either explain their emotions or help other people to talk to and comfort Dad’s that experience a similar pain and I could never have survived without the support of my beautiful wife and daughter. Thanks Susanne, he is just beautiful and the memories we have will never fade, thanks for reading our story. Thanks Katie, to be able to write and talk about my little man really helps and I am lucky to have an amazing wife and a wonderful daughter in my life. Thanks for reading our story, tough as it is to write it has helped a lot. Thanks for reading Sarah and for sharing in Liam’s life with us, hopefully our story helps others understand the pain and emotions that parents in this situation go through or gives comfort to others in our situation that they are not alone. I’m so sorry to hear of your loss Susie, I’m guessing it still feels like yesterday sometimes but hopefully you have some good photos to always remember him, they say a parent should never outlive their child and I never appreciated that thought until now. I just bawled my eyes out. I am so sorry for your loss. I am truly truly sorry you had to go through this. Thanks Dianne, there have been a lot of tears here as well, my wish is that noone should ever have to go through this but unfortunately it is not as rare as most people think so hopefully our story might help others if they are in a similar situation. Hi Fidari, trust me, on Fathers day there was a lot of crying on the outside…I might not have been able to save my little man but I am blessed to have a beautiful wife and daughter who need me and I need them so my role now is to help them anyway I can. Thanks for reading our story. Thank you for sharing your story so generously. All the attention is usually on the mother and dad’s are in the background. You create the space for other dads to share by doing this. Gavin, thankyou so much for your amazing organisation, Heartfelt was a ray of sunshine in those very dark days immediately after Liam’s death and the memories that your team have given us will be held close for the rest of our lives. I really wish your organisation was not required and that no babies ever died but unfortunately that is not how the world is but Amanda and I at least have some amazing photos of him to constantly remind ourselves how beautiful he is. Also thankyou for posting Amanda and now my story and hopefully our story will help others understand what parents go through. Hi Heather, I’m sorry you went through a similar experience which no parent should ever have to and totally agree that Heartfelt is amazing for the gift they have given us and hopefully the more people that know about Heartfelt then they will be able to tell others that might need their services in the future. 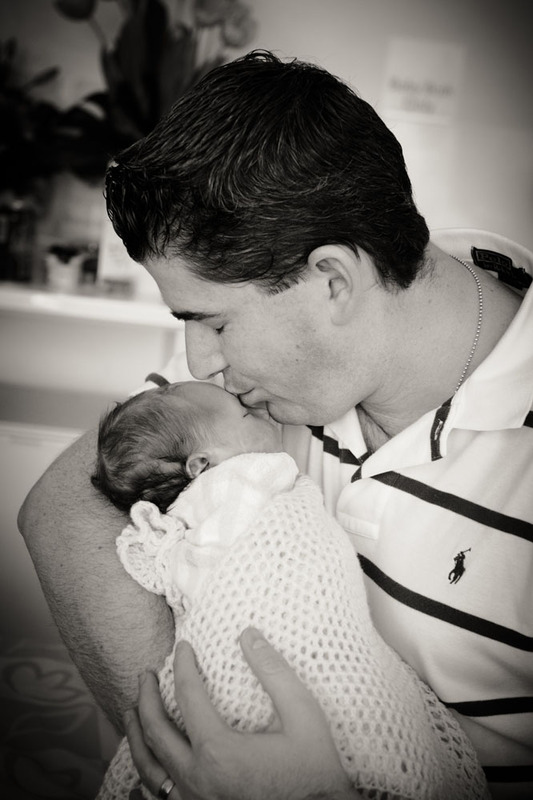 All the best Ryan, Great to read your thoughts, us Dads are far to often forgotten when it comes to grief. We are just expected to move on, people don’t realise how much we are effected, for ever, from any loss like this. My heart goes out to both of you. Thanks Tony, totally agree that for some reason us Dad’s are still thought of as neanderthals that don’t have feelings, we hurt too but I am lucky to have a wonderful wife who ensures I don’t get neglected. Hi Kershel, I know I still get tears every time Amanda asks me to read her posts before she uploads them, it takes me back each and every time like I am in the room again and a lot of other people have said a similar thing so understand why there are tears when people read our story, unfortunately it is a sad story one but the ending is looking brighter each day. Thanks for your thoughts Brooke, agree that my little man is at peace now. Hi Debbie, we did get some beautiful memories out of this tragedy and those couple of days we got to spend with him saying our farewells was priceless as unfortunately many other parents don’t get that opportunity to say goodbye and tell their child how much they love them. Thankyou Jodie, those are beautiful words and I agree its important for Dad’s to grieve as well and I know that this has brought Amanda and I closer together as we share everything with each other. Liam is my son and will always be part of our family and I will always be proud of my little man. You are both truly inspirational people to be able to share any parents nightmare. Your story is beautiful, tragic and heartbreaking but most of all is a testament to the memory of you beautiful son. Hi Samantha, our hope is that our story helps others and it has helped us get through this terrible period in our lives and the fact that soo many people have read and shared our story and learnt about Liam is truly humbling. Hi Mich, thank you for reading and learning about my little man, he was and always will be beautiful and will live in my heart forever. Thankyou for sharing this heart breaking side to the devestating ordeal you and your wife have been through!! My 6month old sons name is Ryan and if he grows up to be half the man you are i will be so proud. Continue to be strong and loving. Its so very rare to hear a mans emotional rollercoaster. Love and prayers for you and your family!! Kait, that is one of the nicest things anyone has ever said to me, thankyou and I hope you give him a special cuddle tonight. Tracey, i am soo sorry for your loss and that you didn’t get to spend time with your beautiful daughter. I cannot agree more that the team from Heartfelt are amazing people, the photographer was fantastic and the memories we have are soo special to us. Thank you for sharing your’s and Liam’s story, I so feel for you all…. Hi Jo-Anne, until Liam’s passing I had no idea that this was soo common, something like 5 babies born each week do not survive which is tragic, I hope your sister and you have some peace now and can look back with love for her little man. Hi Leanne, good luck with your training and hopefully you never have to help a family in this situation but if so then if our story has helped you understand their emotions and you can help comfort them then our purpose for sharing our story will have come true. Thanks Robyn, hopefully my story might help other Dad’s if they are in a similar situation or even help other people talk to and understand the emotions that the Dad may be going through. Thanks for reading. Hi Katherine, there is very rarely a day that goes past that we don’t ask “why”, unfortunately there is no answer and being told “its was just bad luck” is not a great comfort in this time. Our storys are very similar and I can only hope that both your sister and brother-in-law along with their first child have similar memories/photos to look back on to always remember how special Scarlett is. I’m so sorry for your loss it’s heart breaking for you and your wife. We went through the same nearly 7 yrs ago but I believe he is your little guardian Angel and is in your heart forever. Cherish your memories as they are priceless . Thanks Carol, I’m so sorry to hear you too have experienced what we are now feeling, it is something noone should ever have to experience but we are lucky to have some beautiful memories courtesy of Heartfelt and others to always remember my special little man. Thanks Taryn, my wife is the most amazing person and I am so lucky to have her, we have been through some rough times with miscarriages and now Liam but our love is stronger than ever, hope you give your kids a big hug and teach them when they are older to always value life. Hi Marcia, thanks for reading along with us, agree that hearing about stories like ours makes you really appreciate what you have. Im truly sorry for your loss. Thete is no pain like what you are going through. I know this because I had a sids baby. I wish you and your family all the strength and love to get through this pain. Im 9 years on and although its not raw its the worst pain anyone can experience. I truly feel for you and you, your wife, your daughter and Liam are in my thoughts. May the stars shine a little brighter and perhaps you may see him wave. Hi Beck, thankyou for those lovely thoughts, my little man is definitely looking down on us and hopefully having a great time playing on clouds and rainbows. Sorry to hear that you to lost a special one, its hard at the moment to focus on anything more than a few weeks in front but I know my love for Liam will never reduce even as time helps my pain ease. Hi Angela, thankyou for being brave enough to read our story and helping us pay tribute and honor the memory of my very special little man. Ryan, I have read all of this blog to date and have cried with each post as I have walked this path and it brings back emotions I have experienced in gushes and it pains me knowing someone else has had to feel such pain. Thank you so much for sharing the fathers side of things as it wasn’t shared with me when my son passed. Thank you to both Amanda and yourself for sharing your precious little man Liam with us. Thanks Amy, agree its a pain that no one should ever have to experience and I’m sorry that this also happened to you. Telling my story which hopefully I will finish next week is one of the toughest things I have done but I think its important for others to hear my thoughts and maybe that will help them comfort other Dad’s if they are ever in a similar situation. Today I posted a poem/spiel on FB about how a person who loses their partner is a widow(er), a child who loses parents an orphan, yet there is no title for a parent who loses their child because no word adequately sums up that loss. That is so true! As a student midwife my greatest honour has been supporting a couple through the birth of their much loved stillborn son. Great point Kelly, I kind of hope that there is no title because it happens so rarely that there is no need to give it a title but unfortunately this is not the case but I have a title, it is Dad. I will always be Liam’s Dad and he will always be part of our family. Also your courage in supporting a couple with a stillborn is amazing, now that I look back I have great memories of the nurses who looked after us and helped us get through each day when we couldn’t. Good luck with your training. Ryan it was so great to hear your side of the story. I have been following this blog from the start and I’m truly from the bottom of my core so sorry to you and your family for the loss of your beautiful little boy Liam. Having 3 children of my own it touches very close to me as I couldn’t imagin life without any of them. You are all so brave and amazing and to be honest i don’t really know how to put what im feeling into words. I do know that Liam is so amazingly gorgeous and he has the most amazing mum and dad and of course big sister in the whole world. My mother in law lost her baby 32 years ago in almost the same way you lost Liam so reading your blogs makes me realise this is how my beautiful Mother in law must of felt. 32 years have past and even now when she talks about the daughter she lost she isn’t sad instead her eyes light up as she talks about how beautiful she was and how perfect she was and how much she loves her. I sit and smile while watching her face glow as she closes her eyes and remembers her beauty. The only picture she has of her beautiful daughter is when she closes her eyes and she remembers every single feature she had, the colour of her hair, the shape of her face, how big (10 pound 2) and chubby she was, how soft her skin felt, that special new born baby smell and how she just looked like she was sleeping. To me I think you are all amazing and I only wish brilliant things to come to you and your family everyday for the rest of your life. You make people like me realise how blessed I am and not to ever take it for granted. To enjoy every blissful second I have with my family. Thanks to your story I will forever be a better mother and wife so I thank u from the bottom of my heart ‘thank you’. Thanks Kellie, we too look back with love, while we would give anything to have Liam with us now and this feeling will never pass, at least we have wonderful memories such as photos from Heartfelt, hands and feet casts as well as hand prints that I wear close to my heart. Your mother in law sounds amazing to be able to remember in that detail after 32 years, I too can picture him when I close my eyes, his beautiful face, his chubby cheeks and lips which are the same as his big sisters and he looks like he is sleeping. This was one of the hardest things in those first days where we just kept waiting for him to open his eyes and be a normal baby as he is perfect but unfortunately this didn’t happen. People often talk to us and try and pretend that Liam never existed so as not to hurt us but this hurts us more as he is part of our family forever and his life should never be hidden which is why we have always been honest with Alethea so that she knows she will always have a little brother and so like your mother in law we will always tell others about Liam with love in our hearts. Hi Fiona, I’m really sorry to hear you too have experienced this pain and loss, Jack sounds like he has an amazing mum who will give him life long cuddles when your time to join him in heaven comes. Unfortunately there are a lot of other parents that experience the same pain but never forget your love for your son and I hope your days become easier to manage as time goes on. Ryan, Thank you for writing so well about a Dad’s journey through this. I think sometimes we, as men, aren’t as well prepared emotionally as women to deal with this kind of loss. Writing as you have is a wonderful gift to the other fathers out there who have gone through this experience, and have felt the devastation, loss, powerlessness and shock that we feel during this journey. It helps to know we aren’t alone and that someone out there also knows how we feel. As fathers, we would lay down our lives to protect or save our children. We feel that it is our most important role in life. It is heartbreaking to have to stand by and watch powerlessly while our children slip away, and there is nothing that we can do for them but make the decision that, for their own good, they need to be let go. Being that strong protector and support for our wives and children while they are also hurting so much can sometimes be the only thing that keeps us standing. Again, I thank you for your words, and just want to let you know that you, Amanda, Alethea and Liam are in our thoughts and prayers. Thanks Brett, totally agree and it was knowing that I had to stand up and support Amanda and Alethea during this time that helped me be strong when often all I wanted to do was crawl quietly into a corner and block off the world. I would gladly lay down my life for my children as would most Dad’s so that pain in not being able to help Liam is great as you would understand. But while I couldn’t save Liam I could help him by easing his pain and allowing him to leave us. One thing I have learned which I was never great at before is that it is better to share my emotions rather than bottling them up so hopefully this helps other Dad’s. I have just come across your blog today and have almost used a whole box of tissues reading your story. My heart breaks for you and I am so sorry that this happened. Thankyou so much for sharing. Hi Tara, thanks for having the courage to read, I fully understand how honest and raw our account is and so to have people read and become emotionally involved in our story is humbling, I hope you find the strength to keep reading. I have read your wife’s side of the blog, and now yours, and it still makes me cry. Probably always will for you! As a midwife, I have been with women and their families when they have lost a little one, and tried so desperately to help save some. It is the most heart renching experience, and I think of the families every day. You are both so brave to continue with your story. It is lovely to see that you had some Heartfelt photos done. They do an amazing job, the photos are always beautiful. It is so lovely (in a very sad way) to read the rollarcoaster the parents go through. This is helping me with our to better support grieving parents. Liam will never EVER be forgotten, and you have done such an amazing job to do that. Hi Sarah, thankyou for reading and learning about our story, we have been contacted by a number of midwifes and also uni’s looking to publish our story to help with the training and while I wish your job was always happy there are unfortunately times that do not go as planned and so I hope that by reading our story, it helps you to comfort those parents in their time of need. Totally agree about Heartfelt being amazing, if you could please ensure everyone at your work knows of their services that would be most appreciated along with the other organisations that have provided us with precious memories of my beautiful little man Liam. Hi Lee, I am sorry to hear that you too have lost a sibling just like Alethea, hopefully our story has helped you understand the pain that both your mum and step father have and are still going through with their loss, thankyou for reading. I have read your story with tears streaming down my face for not only the loss of a beautiful baby but for your bravery. I cannot imagine the pain that you both feel, or that, that your parents and daughter feel now and will for an eternity. Thank you for sharing your story and take comfort that little Liam will be very proud of you all. Thanks Sarah, my hope is that he is proud of us for sharing his story so as to help both others and also ourselves during this time. Thank you for sharing your story. The attention and support is usually focused on the mother and being a bereaved dad and a “Pillar of Strength” for your wife and family during this time is one of the hardest things we have to do. Your story may be the start of giving a voice to others in our situation as our loss is often not communicated. Hi Gary, firstly can I say that you do amazing work with your “Pillars of Strength” organisation, I have been to your website and would love to attend one of your function days like the golf or bowls days held earlier this year. Also congratulations on the father of the year award recently. Agree that often the dad’s are forgotten during this time as we tend to be the quiet strong ones trying to hold the family together without too much thought of our own grief. I am lucky that my wife is very supportive and a great listener but I know a lot of other people are not so lucky. If Liam’s story helps bring a little more focus to us Dad’s then that will have been a great outcome and hopefully it may help other people understand what we are going through and enable them to start a conversation with grieving dad’s as often its just nice to know people care. Thanks Ryan, We are all trying to give dads a voice and break down this subject being taboo. Founding Pillars of Strength has been my grief outlet and it hopefully has provided some support for other dads (and their families). I believe the best thing that any person can do for a dad (and a mum) is to acknowledge their child and that they are a dad. You have been a fabulous son from day one Ry, but watching you go through this tragic journey with Amanda and Alethea has made us even more proud of the man you are. Your calm and supportive demeanour while no doubt being churned up inside, is a measure of you as an individual. Your description of the emotions before, during and after Liam’s birth were hard to read and like you, I wish this didn’t have to happen to any family. You and Amanda certainly do not deserve this. Perhaps one day we will understand why God has taken Liam before we had a chance to get to know him, and he to know us. Liam will always be a treasured member of our family and never forgotten. Hi Mum and Dad, thanks for those lovely thoughts and your help during this incredibly tough time.